What’s Coming in Windows 10? Bob Rankin windows 10. permalink. Windows 8.1 And you are back in Windows 8? In 2018 You need to refresh/ restore ?? I’m not sure if I’ll upgrade from 7 to 10. Esthetically, I was deeply disappointed with Office 365; it looked washed out and somehow kind of ‘cartoonish’ with the icons they were using. If Windows 10 has that same pale pastel look, I’ll stick with 7 for as long as I can. An interface is something you have to look at each time you go on line and it should be pleasing to the eye as well as functional! I’ll wait and see what 10 looks like and how it fucntions before I make the decision to upgrade! If they want XP users to migrate, they should put Outlook Express back. That’s why I am still holding on to XP. No, I don’t trust microsoft to hold my email for me. I do not want online email. I want a client – one that can import my outlook express messages and folders. access a legit 7 disk so I can reinstall. 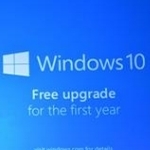 Microsoft should offer them a free upgrade, though perhaps for a shorter period of time, such as 6 months. Considering the economy and stagnant income that many people are experiencing, they might need such an incentive to upgrade.